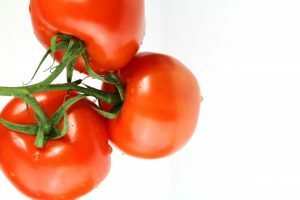 A daily supplement of an extract found in tomatoes may improve the function of blood vessels in patients with cardiovascular disease, according to new research from the University of Cambridge. The incidence of cardiovascular disease varies worldwide, but is notably reduced in southern Europe, where a ‘Mediterranean diet’ consisting of a larger consumption of fruit, vegetables and olive oil predominates. Recent dietary studies have suggested that this diet reduces the incidence of events related to the disease, including heart attack and stroke, in patients at high cardiovascular risk, or those who have previously had the disease. One component of the Mediterranean diet thought to play a role in reducing this risk is lycopene, a powerful antioxidant which is ten times more potent than vitamin E. Lycopene is found in tomatoes and other fruits, and its potency appears to be enhanced when it is consumed pureed, in tomato sauce or in the presence of olive oil. While there is strong epidemiological evidence to support the role of lycopene in reducing cardiovascular risk, the mechanism by which it does so has so far been unclear. In the new study, published in the journal PLOS One, researchers at the University of Cambridge and the Cambridge University Hospitals National Health Service Foundation Trust demonstrated one mechanism by which they believe lycopene reduces the risk of cardiovascular disease. “There’s a wealth of research that suggests that the Mediterranean diet – which includes lycopene found in tomatoes and other fruit as a component – is good for our cardiovascular health,” said Dr Joseph Cheriyan, consultant clinical pharmacologist and physician at Addenbrooke’s Hospital and Associate Lecturer at the University of Cambridge. “But so far, it’s been a mystery what the underlying mechanisms could be,” he said. The researchers carried out a randomised, double blind, placebo controlled, interventional trial investigating the effects of lycopene using a gold standard method of measuring the function of blood vessels called forearm blood flow, which is predictive of future cardiovascular risk. Thirty-six cardiovascular disease patients and thirty-six healthy volunteers were given either Ateronon (an off-the-shelf supplement containing 7mg of lycopene) or a placebo treatment. As a double blind trial, neither the study participants nor the researchers dispensing the pills were aware which treatment was being provided. The patients with cardiovascular disease were all on statins (cholesterol-lowering drugs). However, they still had a relatively impaired function of the endothelium – the inner lining of blood vessels – compared to healthy volunteers. This function is determined by the response of blood vessels in the forearm to a naturally occurring molecule called acetylcholine. Endothelial function predicts future events, so having a healthy endothelium is an important factor in preventing the evolution of heart disease. The researchers found that 7mg of oral lycopene supplementation improved and normalised endothelial function in the patients, but not in healthy volunteers. Lycopene improved the responses of blood vessels to acetylcholine (which stimulates the release of an important hormone called nitric oxide—a blood vessel dilator) by over a half (53 per cent) compared to baseline in those taking the pill after correction for placebo effects. Constriction of the blood vessels is one of the key factors that can lead to heart attack and stroke. However, the researchers said the supplement had no effect on blood pressure, arterial stiffness or lipid levels. “We’ve shown quite clearly that lycopene improves the function of blood vessels in cardiovascular disease patients,” Dr Cheriyan said. “It reinforces the need for a healthy diet in people at risk from heart disease and stroke,” he said. “A daily ‘tomato pill’ is not a substitute for other treatments, but may provide added benefits when taken alongside other medication,” Dr Cheriyan said. “However, we cannot answer if this may reduce heart disease – this would need much larger trials to investigate outcomes more carefully,” he said. Professor Jeremy Pearson, Associate Medical Director at the British Heart Foundation, said that impaired endothelial function was a known predictor of increased risk of future heart disease. “Further work is needed to understand whether the beneficial effects seen in this small study translate into clinical benefit for at-risk patients,” Professor Pearson said. The study was funded and sponsored by Cambridge University Hospitals NHS Foundation Trust, with further support including the Wellcome Trust, the British Heart Foundation and the National Institute of Health Research Cambridge Comprehensive Biomedical Research Centre. Cambridge Theranostics donated drugs and placebo to the study. Ateronon, a food supplement, is a registered trademark of CamNutra. The authors acknowledge unrestricted educational donations made by Cambridge Theranostics and CamNutra to Addenbrooke’s Charitable Trust. The researchers said the donations were unrelated to the trial, which was not funded by either company. They said commercial companies had no role in study design, data collection and analysis, decision to publish, or preparation of the manuscript.